New Delhi, Nov 26: Union Minister K.J. Alphons on Friday said that not a single stone has been thrown at a church in the country in the past three and half years of the Narendra Modi government. "Someone wrote yesterday that Christians are facing problems in the country, churches are being demolished, Christians are being beaten up. "After being in power for three-and-half years, tell me whether a stone has been thrown at a church? Has a Christian been attacked anywhere?" he asked. 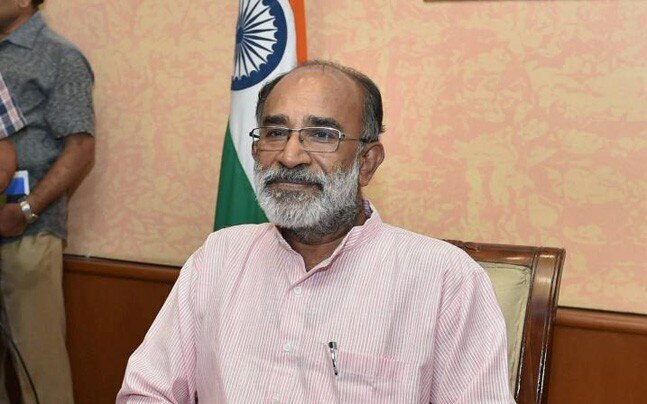 Alphons was responding to reports that the Archbishop of Gandhinagar, in poll-bound Gujarat, has written to Christians, asking them to save the country from "nationalist forces" amidst a growing "sense of insecurity". "I'm a Christian and I'm proud to be a nationalist, let me tell you that," he said while speaking at an award ceremony hosted by a Malayalam television channel 'Janam TV'. "Today, in the world if we can say that there is a man with spine, then it is Indian Prime Minister Narendra Modi," he said. Defence Minister Nirmala Sitharaman, who was the Chief Guest at the event, said that media is thirsty for breaking news and it has become highly competitive. "Sustaining with fair and truthful reporting is hard and not an easy thing," she said. Alphons also expressed similar views and said that because of the "breaking news" culture, "we live in post-truth". "Is our media committed to the truth? This is the fundamental question to be asked," he said. Union Environment Minister Harsh Vardhan, who was also present, said that "unfortunate news has been coming out of Kerala of late and added that "it has to be rectified with the help of people". "Whatever happens in Kerala brings bad name not only to Kerala, but to the whole country," he said.